Budget of 2k for rifle only, glass is taken care of. What AR would you buy. I want a tack driver. Would like 1/2 moa but will settle for 3/4" moa. If you say build, what barrel, upper and lower. Larue is known for accuracy but I have no personal experience with them. There’s two in classifieds now. Not sure of price for complete rifle,but if in budget JP Enterprises hands down. I have a few uppers & they are tack drivers. Last edited by DUKFVR; 07-22-2018 at 09:05 PM. I have a LaRue, built on their Ultimate Upper package. Its sub MOA but I'm wanting a little better than that. I have had Larues and Noveskes. JP beat them if you can shoot that well. I feel like you’re going to have a hard time getting that little extra accuracy from an auto loader. You can find someone with a sub MOA ar15, build yours the same, and not get the same accuracy. Under MOA is just getting lucky. A match grade barrel with a properly head spaced matching bolt would be a good start. But the results still won’t be “guaranteed”. 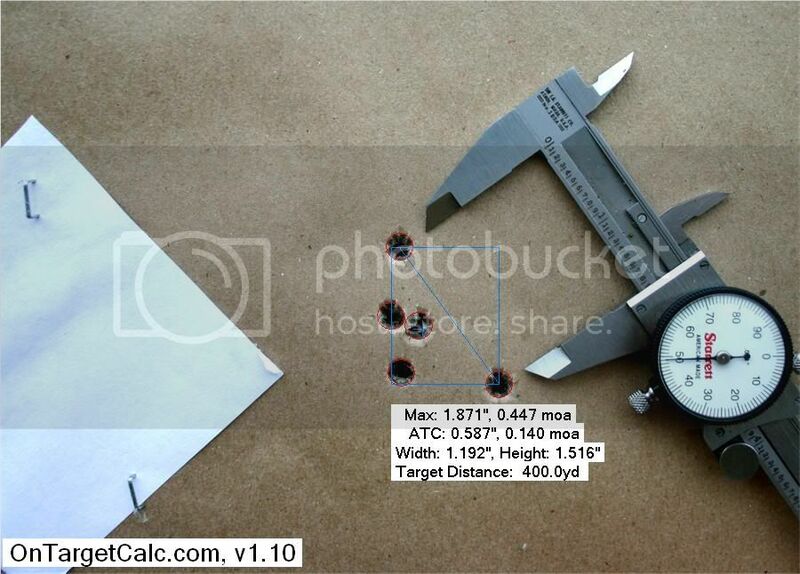 The 223wylde chamber is supposed to be more accurate. Grendels seem to always perform, even the cheap ones. Ar15performance.com supposedly puts out some accurate stuff, but I have no personal experience. I just bought a diamondback db-15 in 6.5 grendel and have only put about 25 rounds through it, and only 5 or so hornady sst. Sub moa 3 shot group. Heck I had a right at 1" group with wolf ammo at 100. That was just luck though lol. With a 100$ nikon scope and cmc trigger. Nothing special. I assume with more getting used to it the groups with shrink a little. I may get blasted for this... but I’ve seen some RRA shoot just as good and better than larues in 223 and 308. Not saying there better quality but RRA generally are tack drivers. Of course the right loads help a lot. Last edited by Cajun Blake; 07-22-2018 at 10:28 PM. My Areo Precision enhanced upper and 18" Odin Works barrel/bcg, in 6.5 will do 3/4 moa with hornady black. I’ve had good luck with LaRues, JP, PWS, RRA and LWRC. All easily sub moa with the right Ammo. I’ve always wanted to try a LMT. Believe it or not the most accurate AR style gun I have is a LaRue UU predatAR 308. Sub .5” all day with factory Winchester match. So like some one else said sometimes it’s luck of the draw. If one of the LaRues in the classifieds is a 556 tOBR and within your budget, I’d jump on it. I put together a rifle using a RRA lower and and upper with a Douglas airguaged match .223 Barrel, (.223 chamber), 1 in 8 twist, and it is 1/2 moa with 77 gr. Nosler match hp. and RL 15. Took a little load development, but it's there. My RRA coyote special shoots better than I can with Hornady 55gr vmax. It’s my go to if critters need killing. Yep I have a coyote and a predator pursuit in 223 and a bull barrel 308. All shoot sub moa. If I had the time I know I could build up a load that’s better. I know the 55gr Hornady vmaxs in my coyote shoot 1/2 moa. Haven’t messed with the preadotor much. The 308 I have a hand load for that I haven’t finalized and it’s in the 1/2 moa range. I didn’t mess with that load because it’s the same one I shoot in my bolt gun. I would suggest trying to find a used les baer 6x45 . I say that to say you don’t have to break the bank to get a decent shooting rifle. I've built 2 Ar's that will hold less than 1/2" all day IF I do my part. 1st 223 Wylde 20" varmint barrel from Rock River. This thing shoots everything I put through it well. 2nd 6.5 Grendel. 24" Krieger heavy barrel. Very picky. Won't shoot any factory ammo worth crap but will put 123gr ELD with 29gr CFE223 under 1/2". Yep, course mine wasn’t an $800 AR but it definitely fits. In he OP budget with a lot of room left. I don’t remember who it was on here but back in the days of the AR debates, someone told me my RRA was a bottom level gun that I spent way too much on and their baseline Colt you could buy at walmart was far superior. Heck, Ive got a cheap DPMS the shoots moa and an Alexander Arms Grendel that does the same. This has been my experience too. ARs are not bolt guns. My most accurate semi-auto is a $500 Palmetto State, and that includes AR Precision and LaRue. I know if I got four more PSAs I probably wouldn't get that again, either. In my opinion if you're seeing MOA from an AR, you're doing well enough. 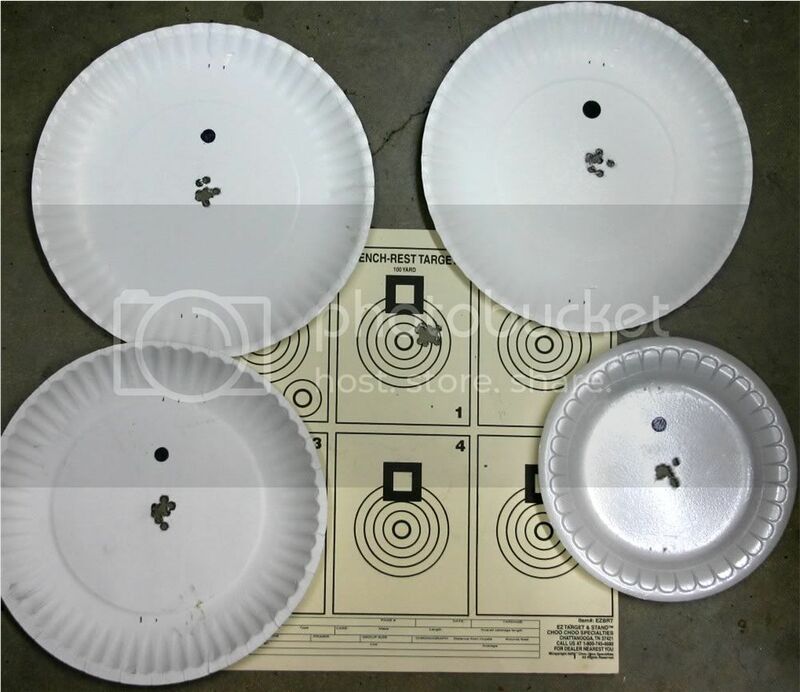 Besides, in the time it takes to get back on target with that level of precision you could have cycled a bolt. Another vote for AR15 performance barrel and bolt (6.8 spc), 1/2 inch gun all day with factory ammo. I'd build in the .224 Valkyrie if you are building a paper gun or for small varmit. Thing shoots like a laser beam. I've got the savage model, and it is sub moa all day from the factory. Use ARPerformance for the barrel in 6.5 Grendel for barrel longer than 16" or 6.8 SPC for 16" or shorter. My RRA Varmint A4 in .223 shoots all factory ammo well. Bull barrel makes it heavy but I weigh 285 so I tell my wife it is made like me! Standard size/weight AR-15 using AR Performance 6.8SPC upper and Timney drop in trigger. 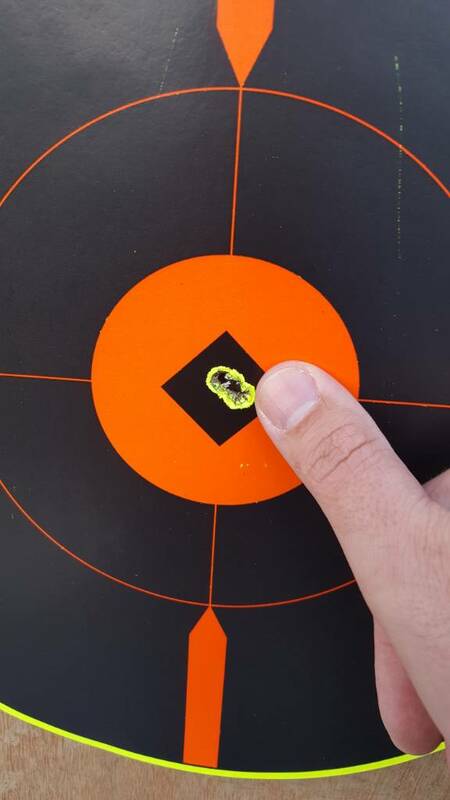 First time out with it, 3/8" 5 shot group @ 100 yds using Hornady premium 120 gr. The one shot that is top/center of bull's eye is last zero shot, then shot the 5 shot group... I was flabbergasted! I'm a bolt gun guy, but I bought this gun because the guy swore it would do sub-moa with this ammo... told me to bring it back if I didn't like it... Right now today, if I were to grab a gun to go deer/hog or other similar size animal hunting, I'd grab this sucker over my heavy bolt guns in a heartbeat. Had it several years, but it was $1,600.00 delivered to my hands. I bought a Sabre Defence AR15 varminter before they went belly up. Mine is a bone stock 223 and will shoot with the best of any make. 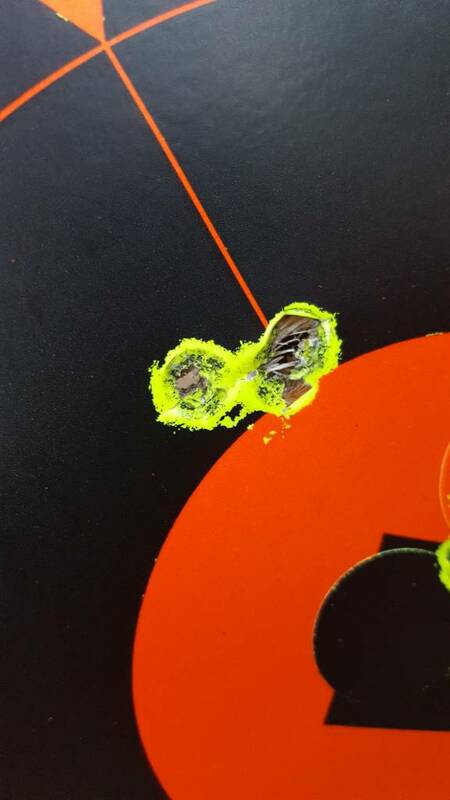 It prints in the .2's on good days and does .5's 10 shot strings with boring monotony @ 100yds. Holds .5 moa out to 400yds with 5 shot groups. You may be able to find a used SDI if you look around. They were/are known for their great quality barrels. My Colt CAR-A3 HBAR Elite shoots .5 moa with American Eagle AR .223 55gr ammo AND that’s with me behind it (which ain’t saying much). No doubt someone with better skills than I can do better.